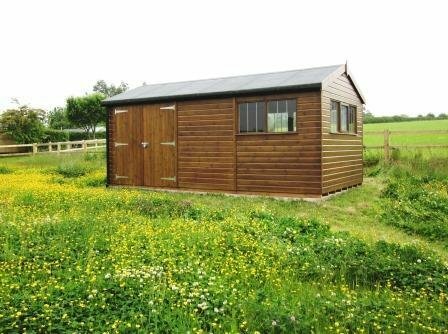 Our Superior Sheds look delightful in all types of settings, including this lovely Gloucestershire field in Berkeley. As with all of our bespoke Garden Buildings, this model includes delivery and installation as part of our unrivalled service. This customer plans to use this shed as storage for horse riding equipment as it is located right by their horse track. 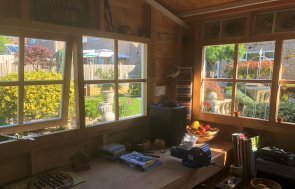 This beautiful Shed consists of shiplap cladding, painted in Walnut from our Sikkens Woodstain paint collection. Sikkens paint provides long-lasting protection for your building, enhancing the natural beauty of the timber with its translucent coverage. 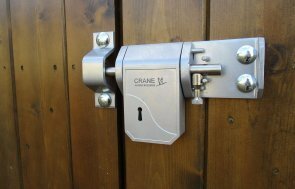 A security pack has been added to ensure the customers' belongings stay safe due to the location of their shed and a heavy duty floor has been installed in anticipation of frequent use. The apex roof is finished with heavy duty mineralised roofing felt which will provide maximum protection to the building from the elements. We display a variety of different buildings in different shapes and sizes at each of our seven UK show centres, locations can be found at the bottom of this page. We encourage both new and existing customers to visit, allowing you to browse and see the quality of our builds in person. It also provides you the opportunity to find a model that would be suited to your garden/needs. 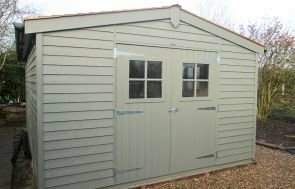 If you require further information about our range of Garden Sheds, follow the link below.